At least that's according to recent UK newspaper articles and Twitter storms. The Speedo in question is a figure hugging skimpy nylon attire worn - in this incarnation - by middle aged portly white men which is deemed offensive and should be 'outlawed' on the French Riviera. Zut alors! I may side with that call. It's actually the regulation in public pools in Paris for boys and men to wear Speedo's. A hygiene thing. When my son was eight years old he wasn't allowed to swim in the fantastic public pool near Bastille is his baggy swim shorts. "C'est interdit." And no way around it. We ended up buying a pair of Speedo's there - conveniently for purchase - and he almost refused to come out of the locker. He said he was too embarrassed to swim. Well, all the other males - young and old - wore them so eventually he jumped in the pool. Ok, so here's some of the Twitter Speedo storm. Twitter users have been inspired by the controversial ruling to highlight a more offensive issue (than burkini's) plaguing beaches the world over. From the photos above, Cara, this controversy looks like a metaphor for the world at large today: too much of a bad thing and not enough of a good. Let's ban banning. No, wait, is that sort of like a double negative? Or a different article of grammar for oxymoron? To paraphrase Nancy Reagan: Just look away. Or to paraphrase the bible: If your eye is offended, turn it inward. 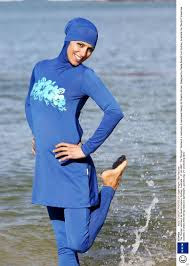 I saw my first burkini here on Mykonos the other day, but frankly it's more flattering than the wet suits we wear to go free diving. 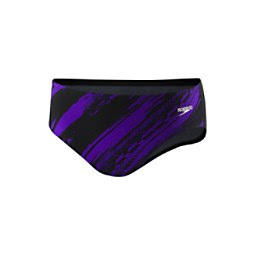 As for the Speedo crowd (best worn under a wet suit)--and less--let's just say that the EPA should bring out the HAZMAT suits to stomp out what I've heard best described as VISUAL POLLUTION. PS. On the subject of "public hygiene" (yes, I left in the "l") as the reason for speedos in pools, I once belonged to a well known private club in Manhattan where men were required to swim naked--for the alleged same reason. The only exception being on the one day a week women were allowed to swim there. Okay EvKa and AA unleash the hounds on that one. Best not to start at all, methinks. Bravo, EvKa. I have seen many NY men in that financial bracket. I am surprised any women wanted to see them in bathing suits, much less in birthday suits. Clearly, a Speedo Summit is called for! Omigod! My eyes are burning from the sight of the speedo-bedecked wearers. Ban speedos, not burkinis! is a slogan I could support. The women look beautiful, the men not so much. 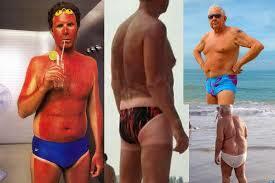 Maybe French legislators could enact an age limit for speedos. Age limit, definitely Kathy D - no one over twelve!